Marble & Granite Countertops in Buffalo, NY | Italian Marble & Granite, Inc.
Click here to submit information for your project. We will get back to you within 1 business day of request. To view current inventory you need an appointment . Welcome to Italian Marble & Granite, Western New York’s largest stone fabricators featuring fine granite and marble, onyx, CaesarStone, Zodiaq, Silestone, Hanstone, Q-Stone, concrete, porcelain, limestone, soapstone, and fossil stone. 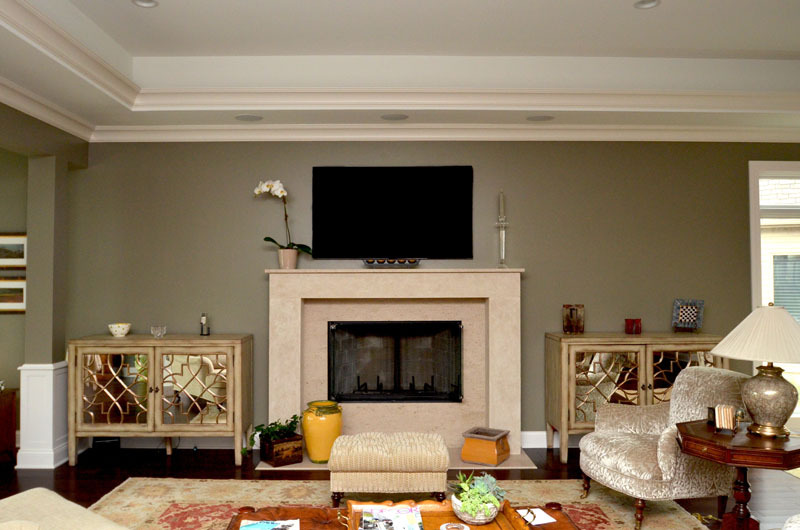 With the largest inventory of marble and granite in Western New York, savvy consumers turn to Italian Marble & Granite because we offer exceptional quality in granite countertops for the kitchen, bathroom vanities, marble fireplace mantels and surrounds, wall units and custom furniture. We love a challenge and our goal is to fabricate a stone product for each customer’s unique specifications that they will be completely satisfied with. 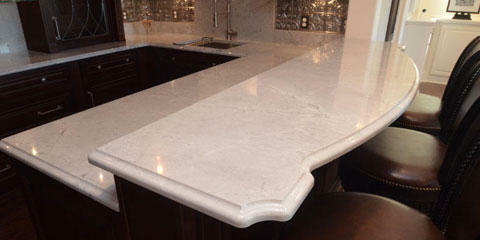 Shortcuts are not a part of our culture, and by using cutting-edge techniques our customers are assured of exceptional quality and everlasting satisfaction with their new product, whether it be a granite countertop, limestone fireplace, marble countertop, or any other project you can dream up. Mark, Thank you so much for all your help! It looks beautiful! Once again thank you! Dear Mark, Thank you for the granite and installation of the product in the Clarence Town Park Club House. 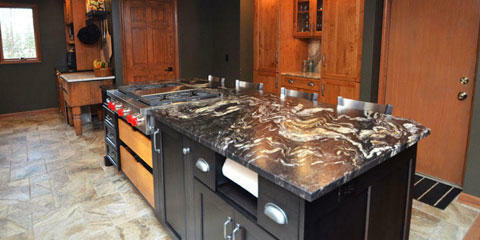 The granite has given the counter top a spectacular look. There are several organizations that use the Club House on a regular basis. The strong, durable material will allow many meals to be served in style. Your contribution of the granite has made the ongoing renovation project very special. Your generosity is appreciated. Dear Friend of the Clarence Senior Center, The Clarence Senior Center’s 4th Annual Basket Raffle was a great success and we could not have done it without the support of people like you. Proceeds from this event will enhance the loves of our seniors by fulfilling the mission of our organization which is to provide social, recreational, educational, and nutritional programs, as well as opportunities for volunteerism to seniors. On behalf of the members of the Clarence Senior Center, I would like to thank you for your generous donation and for supporting the seniors of our community. Dear Mark, Well, kitchen is finished, and the walls and floor tiled with compatible colors that show off the counter top beautifully, even the construction dust is gone. The result is outstanding! Jeannette and I cannot thank you enough for helping us to make the happen. Having seen the counter material only in subdued light, we were amazed at the nuances, not only of color but also of how dramatically the translucent crystallographic structure of the granite in the sunlight gave it a three-dimensional look. If any on-the-fence buyer saw your products displayed that way, we’re sure they’d be rushing to sign the contract! We also would like to commend your installation crew – they were polite, answered our questions, worked efficiently and represented your company well. Again, thanks a lot. Appointments required to view slabs.